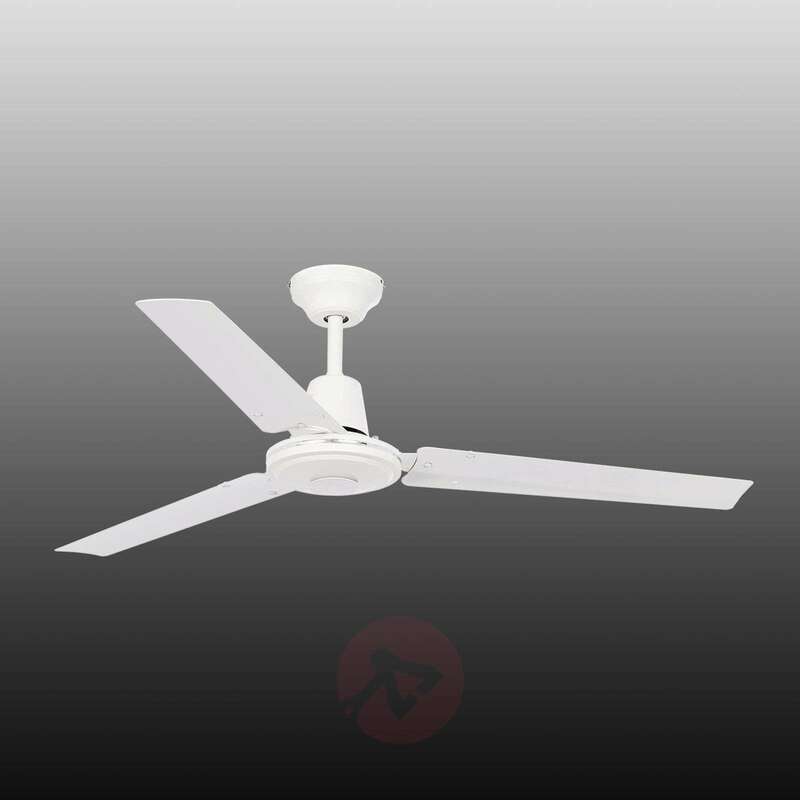 15 year warranty on motor, 2 year warranty on fan. 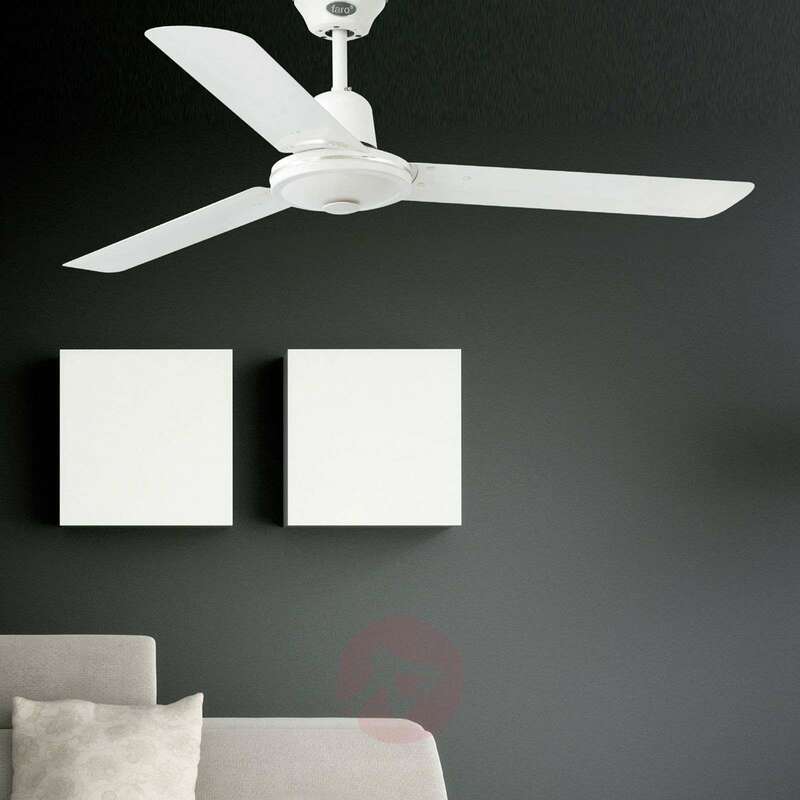 The modern ECO INDUS ceiling fan in white is delivered with the speed regulator. 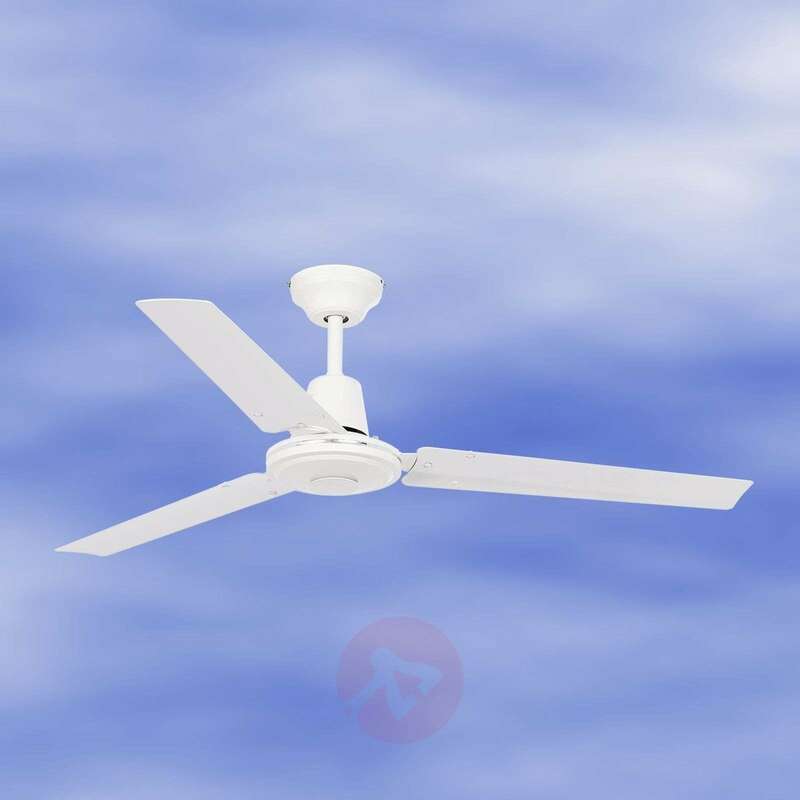 The fan can be regulated in 3 speed levels in summer operation and a reverse function in winter operation. When operated in the winter, the reverse function distributes the warm air from the ceiling uniformly in the room, thereby saving up to 10% on heating energy. Supplemented: Suitable for rooms which are up to 18 m² in size. 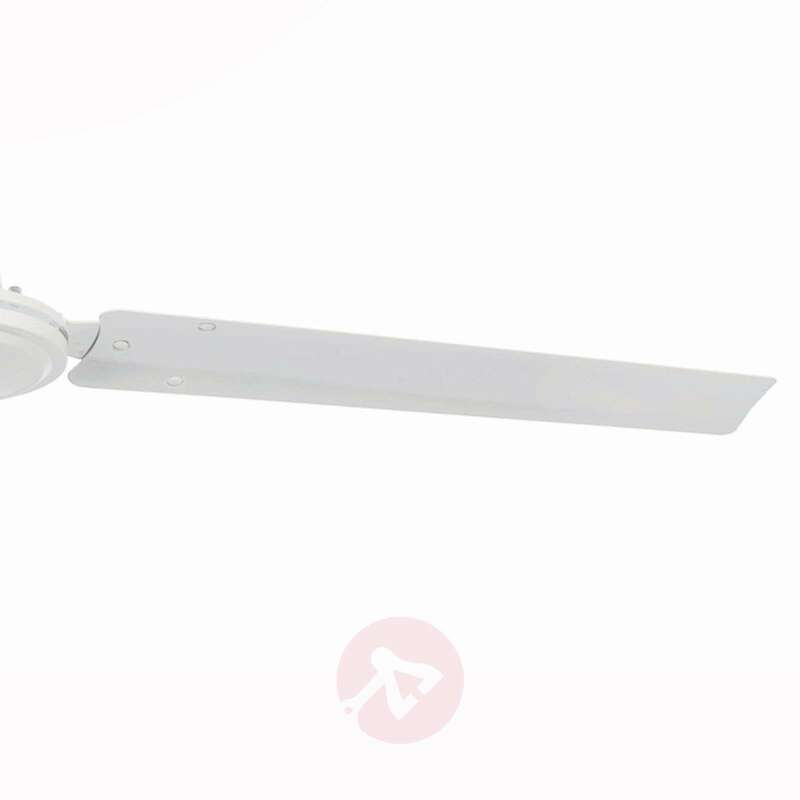 - warranty of 2 years on the fan and 15 years on the motor. ugly control switch - American size not UK so doesn't fit a normal switch plate. 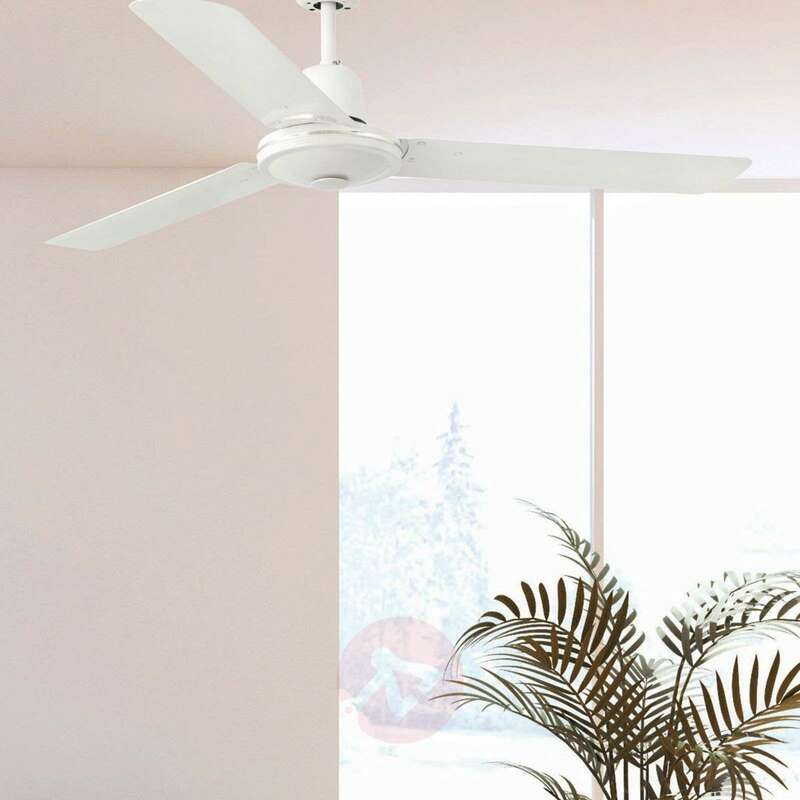 The fan itself you would only want to operate on the lowest level as 150 is already enormously fast and the highest setting feel like the fan is going to leave the ceiling! But it does its job well but could be prettier.